Having a good bouncer seat for your baby is such a help. It is nice to have a seat to put your baby in, and something that is both comfortable and enjoyable for your baby. I really like the new Infantino Fold & Go Bouncer. I really like that the Fold & Go Bouncer is mobile, and travels easily and compactly. 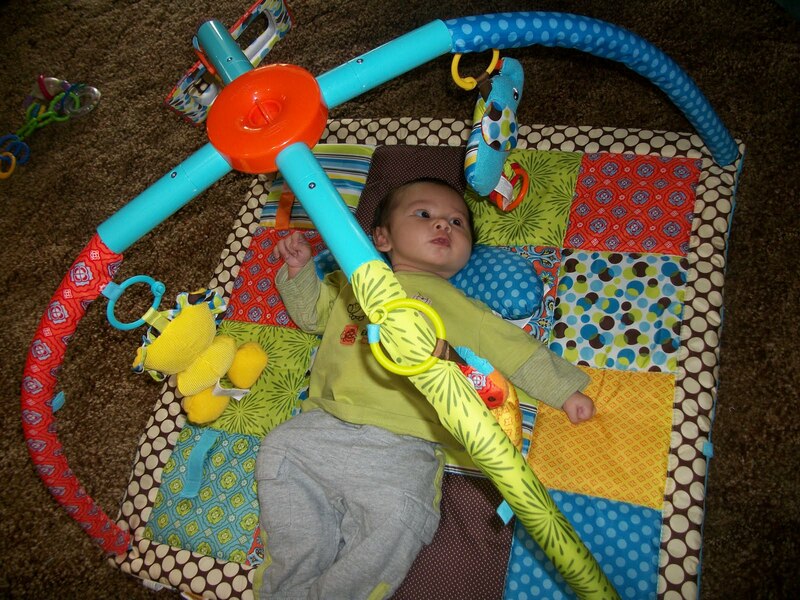 The Fold & Go Bouncer has two soft animals that attach to the toy activity bar. The Giraffe has a bell inside and the elephant has a side mirror for baby to see their reflection. I like that the toy activity bar is adjustable and removable on the Fold & Go. It is really simple to pull the bar out and easy to put back. 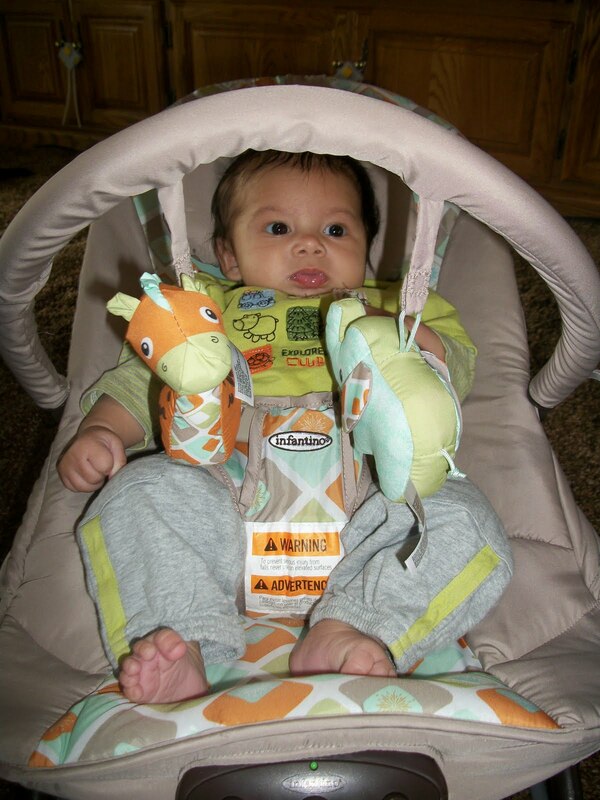 Infantino's Fold & Go Bouncer has extra padding on the foot area, which is over the battery compartment, and the bouncer comes with a padded headrest (which is detachable). The battery compartment holds three AA batteries. This Bouncer plays 3 songs, water sounds, a heartbeat sound and gives a soothing vibration. There are two volumes (louder and quieter) so you have two options. The big plus to the Infantino Fold & Go is the easy way it closes and is stored. This is a great bouncer to take on the go, and pack with your baby's necessities. There is no need to take the covering off the bouncer, but just slide the safety switch, squeeze the top of the slide bar and pull the seat forward until the frame is flat. 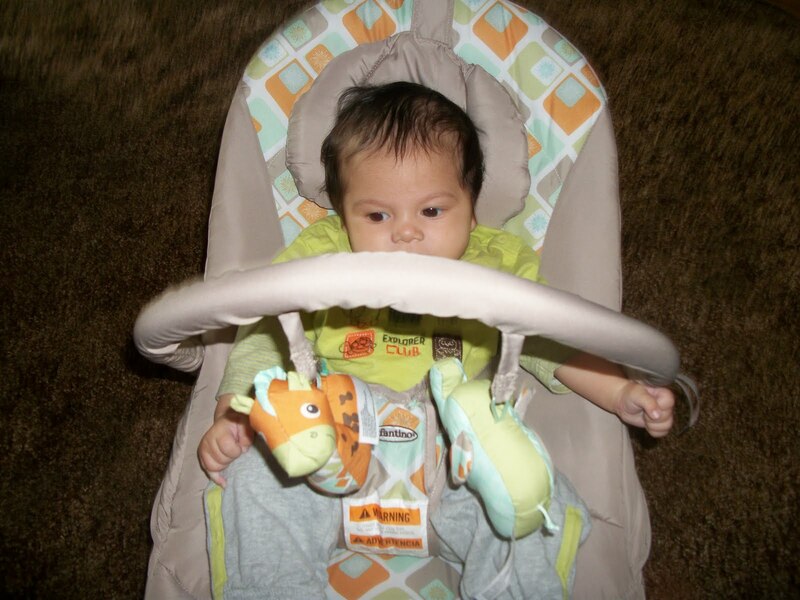 There are two adjustable hook straps to secure the seat together while storing or traveling with this bouncer. 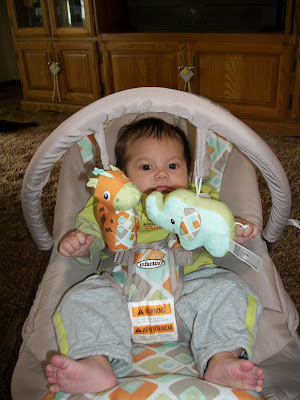 I also really appreciate that the Infantino bouncer is washable! The cover, headrest and the waist harness are all removable and washable. I recommend this bouncer for you if you are looking for a bouncer for easy travel and storage. The cost is affordable, and the value is definitely worth it.